Airflow through the radiator and through AWIC heat exchangers is limited by how much air air you can flow. The larger the opening behind the radiator the less pressure there is with the same frontal inlet area. Greater airflow provides cooler temperatures. These larger louvers have an open surface area of 94.75 square inches per panel compared with 44.6 square inches per each small louver. That’s a 112% increase in surface area! The FFR mesh has 38.4 square inches of surface area per panel but the mesh is only about 70% open for an effective surface area of 26.9square inches. 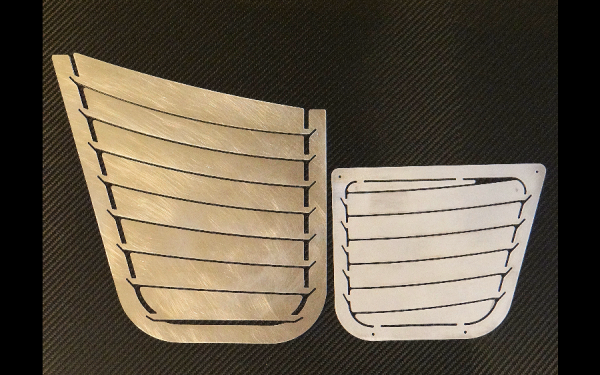 For those not worried about airflow and just want something different, these louvers change the overall look of the hood with their larger curved design. Parts will ship flat and be quoted based on buyers zip code. 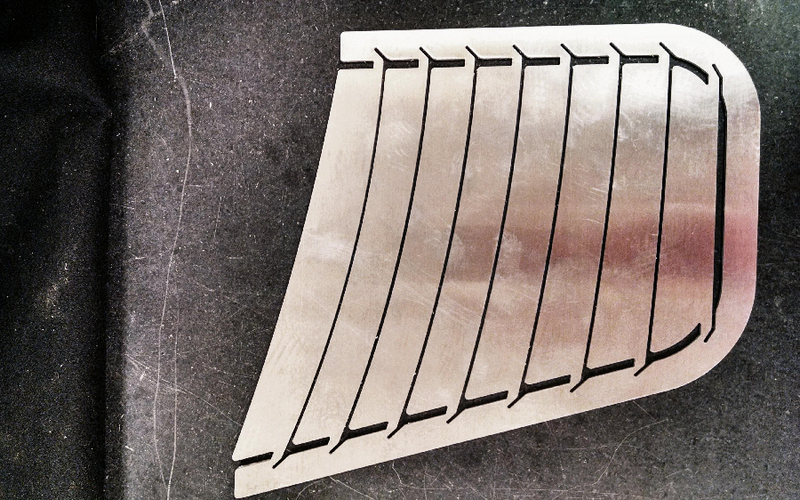 2 Laser cut aluminum louver panels. How do I bend the louvers? The middle fins are easily bent to any angle by gripping the sides of the fin to be bent and twisting. The two end fins are best bent by gripping the outside border in a vice (don’t worry, you won’t see the border when installed). If you can’t bend the two outside fins by hand use a mallet and a thin wide piece of wood that contacts the entire length of the fin to prevent from bending it in the middle. If you don’t like your bend angle you can adjust it. Refrain from excessive repeat bends. 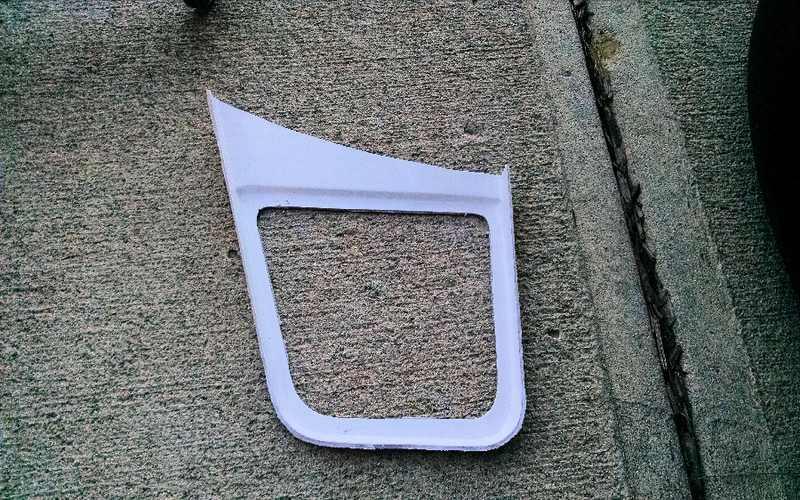 After bending the edges may need minor deburring. All panels are deburred before shipping but some edges cannot be fully deburred in the flat position. 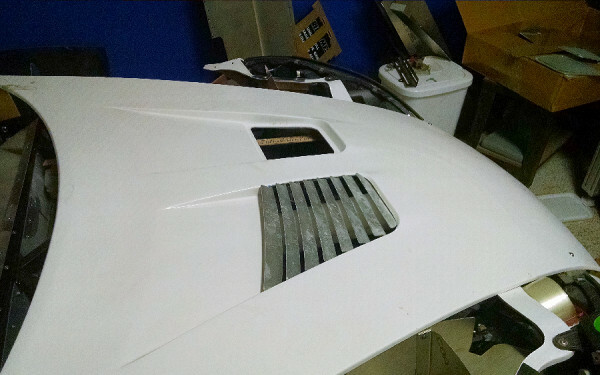 Do you supply the plastic trim needed to cover the trailing edge of the hood cutout? No. This can be purchased inexpensively at auto parts stores or search for “Door Edge Guard Molding” by Automotive Authority on Amazon. It has a nice finish with the glue inside for ~$18. The cheaper versions don’t have the nice finish or glue. How do I install the louvers? 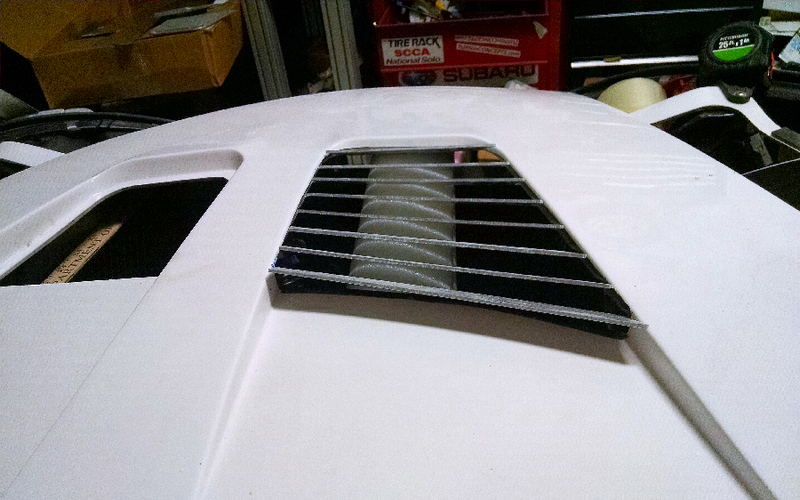 Lay the unbent panel on the hood lining up the front edges. Make a mark at the center of the ends of the last fin. Remove the panel and connect the two marks matching the curve of the panel. It’s always best to be conservative in your cutting. 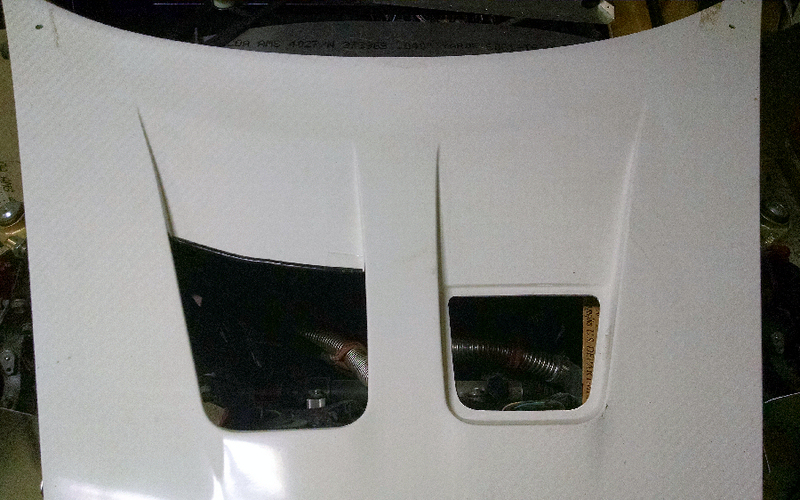 Cut out the entire area from the deep recess up to the line you made so that it is flush with the hood. At the front of the deep recess the hood has a minor bulge. Do not cut away this bulge, but leave a slight lip here so that the bottom of the cutout area is event. 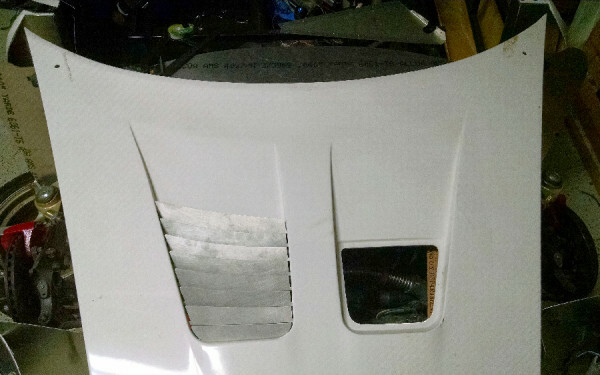 Apply silicone or body adhesive to the backside of the hood to bond the outside border of the panel to the hood in the same method that FFR uses for their mesh. The outside back corner should be installed first and may need to go in at an angle for easiest fitment without scratching the hood. Send me a pm on the forums, email (Craig@zerodecibelmotorsports.com), or message me on facebook. Zero Decibel Motorsports is on Facebook!